At first, you may think that these more relaxed gender codes were a mountains-plains divide, as it is often said that travelling in India’s mountainous areas is ‘easier’ as a woman. However, visiting Janakpur, a city on Nepal’s plains, very near the border with Bihar, and you may find the atmosphere there very comfortable. 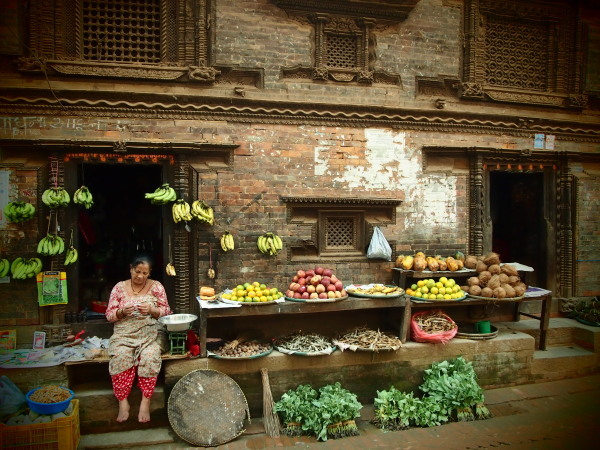 Although the majority of Nepalis are Hindu, most are not vegetarian. You may love travelling in India as it’s one of the few places in the world where you are spoilt for choice when you pick up a menu. The same doesn’t always apply in Nepal, where chicken and buffalo are very popular. But it’s still easy to get by, as veg curries and momos are available almost everywhere, even deep in the mountains. Don’t surprise by all these differences, but because Nepal rarely features in international news (before the earthquake this year), it’s too easy to assume that it is just a more mountainous version of India. Nepal is fascinating and unique, and has as many reasons to return again and again as its larger, harder-to-overlook southern neighbour. This entry was posted in Roam Around on September 22, 2015 by Monks & Monkeys Travels Pvt Ltd.